Buying a new home is stressful and exhilarating! 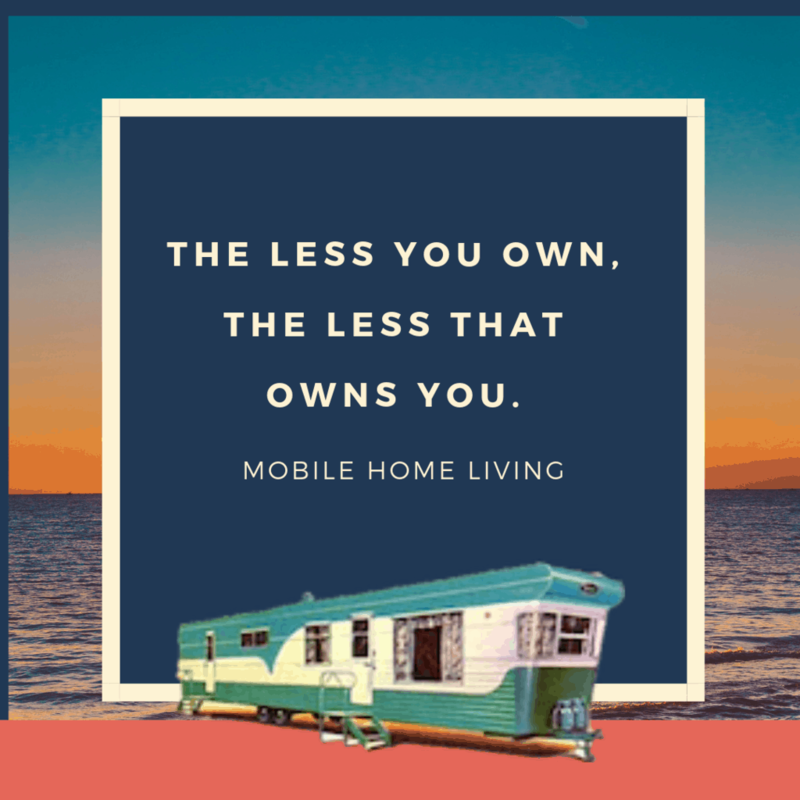 A mobile or manufactured home is a major purchase and as a consumer you should take the time to educate yourself about every aspect of the deal. You can avoid potential pitfalls and make a decision you will not second guess in the future. Education and negotiation will always be your greatest weapons to get the best deal. Manufactured home dealers are similar to a car dealership. They use the same mark-up and commissions system. Knowing your target price, finance options and being ready for the dealers maneuvers is your best strategy against it. Here are a few tips to help you save money, time and avoid unnecessary problems. First off: Do your homework. Reading this article is a great start but don’t stop now! Research everything and use as many different resources as possible. 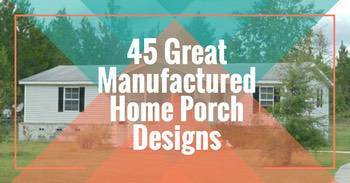 Know what manufacturer you like best as well as your favorite floor plan and features. Upgrades increase the price but you can save money in the long run with upgrades like thicker walls and insulation. You get what you pay for in the manufactured housing world. You will not be able to pay $50,000 for a double wide and get the same fixtures, materials, and construction aspects as a $150,000.00 home. It’s simply not possible. Owners are often upset or dissatisfied because their home has cheaper flooring materials, or flimsy trim, or thin carpet but they only paid $34,900.00 for a brand new 1200 square foot double wide. With that said, the home should be well constructed and every owner should be 100% happy but expectations must align with price. Certain features and upgrades can drastically extend the life of your home and make living in it more cost efficient and comfortable. Choose a shingled roof, rather than a flat roof, if possible. Make sure the roof hangs over the edge of the house, that it is properly ventilated and it extends over the home, this will increase the longevity of your new home. Look for a home with exterior wall studs 16 inches apart (as opposed to 24 inches). Choose vinyl siding rather than metal or hardboard siding and with exterior walls at least 7 1/2 feet high. Housing wrap is always a good idea, too. Choose high-quality plumbing fixtures, such as standard kitchen and bathroom faucets and sinks (this may require an upgrade). Request a shutoff valve at each plumbing fixture. Avoid particleboard sub floors. When it gets wet, particleboard is more susceptible than plywood to problems such as swelling, warping and loss of strength. Larger joists, smaller joist-spacing, and thicker subflooring can reduce floor flexing and sagging. Although you may have chosen your favorite manufacturer, you may get a better price from a different one. Use online reviews and ask for customer testimonials. Getting the best price for the features you want is just as important as after sale customer service and good references from the companies past purchasers. Of course pretty is important but longevity and service is more important! Avoid pinning your hopes on only one home or one dealer. Get firm prices from several dealers and several brands either online or via phone, since dealer markups on homes can vary widely. Check the “blue book” value for a similar make and model from the previous year listed in the appraisal guides online. Know the prices of substitute housing options in your area, such as condos, houses, and apartments; this can help you place sticker prices (along with land rental and other required monthly costs) in a larger perspective. Related: How Much is Your Manufactured Home Worth? Investigate your financing options before setting foot on a lot. Check out banks and credit unions as well as traditional manufactured housing lenders. Traditionally, dealers finance mobile homes using personal property or chattel loans rather than mortgage loans, at rates 2-4 percentage points higher. Dealers often get a commission for obtaining credit for you, so you may be better off talking directly with the lenders. Even if you end up getting financing through the dealer, you’ll be able to negotiate better if you know your options. Same goes for insurance. Be sure to evaluate all costs of homeownership, including land rental (or purchase), financing charges, insurance, taxes, maintenance and more. Avoid wrapping costs unnecessarily into your home purchase loan. Interest rates on manufactured home loans that are not tied to land are typically several percentage points higher than typical mortgage loans. Think carefully about where you place your home. Placing your home in a rental community reduces the chances you will gain equity from your purchase. Even the best rental communities are subject to ownership changes and rent increases, which can add unexpected costs to your monthly budget. If you own the land, you can reduce your financing costs as well as increase the stability of your tenure. Once you have chosen the manufacturer, features and the financing, start price comparing your local or state dealers online. Get firm prices from several dealers and several brands either online or via phone if possible, since dealer markups on homes can vary widely. Do not give your personal information to each dealer to run your credit, when multiple dealers check your credit it can actually reduce your score, ask them to give you a home price and estimate of the loan terms based on the credit information you give to them, notate names, dates and discussions. Check the “blue book” value for a similar make and model from the previous year listed in the appraisal guides online. 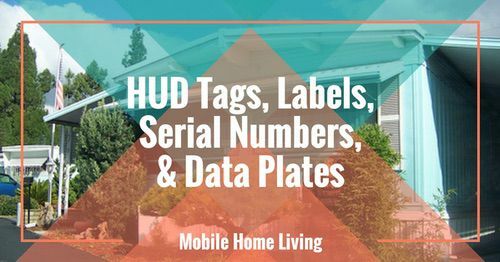 Know the prices of substitute housing options in your area, such as condos, houses, and apartments; this can help you place sticker prices (along with land rental and other required monthly costs) in a larger perspective. This puts you in control from the beginning. It is important to buy a home that fits in your budget, not the home that a salesperson wants to sell you. That means watching the total cost as well as the monthly payment. Dealers may cite reasonable sounding monthly payments – but remember, the length of the contract can vary from 7 to 30 years. The interest rate can vary greatly as well. Higher interest over a longer term can more than double the actual cost of the home. Don’t let the dealer coax you into naming a price or a monthly payment you’d be willing to pay. Ask for a total cash price, and negotiate from that. Better yet, ask to see the invoice price. Dealers may resist, but it is better to negotiate up from the invoice price than down from the retail price. Do not put money down on a home until you are 1000% positive that you are buying that home. You may have trouble getting your money back if you change your mind, especially if you ask for any customization. Shop around for each component of your package. Dealers may offer to act as your real estate broker, insurance broker, and mortgage company, but he or she may not be able to offer you the best deal on these services. You pay for items in a package deal – prepaid park rent, insurance premiums, even furniture and stereo systems – by adding the cost onto your loan. This will cut into your equity in the home. Given the relatively high interest rates on personal property and chattel loans, it will cost you more than the items are worth in the long run. Buying a home, any home, is a long-term commitment. Reputable dealers will still want to sell you a home next week. Be skeptical of “special” prices, freebies, and other enticements to sign quickly. Be prepared to walk away from the deal if you ever feel uncomfortable. Follow your gut instinct. If something doesn’t feel right, walk away. Have someone else with you that doesn’t have a strong emotional investment, they can sometimes see things that you aren’t able to. Manufacturers, retailers, installers, and component manufacturers may offer separate warranties, each of which covers a different part of the home. Consumers can have trouble determining who is responsible if problems after the purchase. In a recent survey it was found that people who purchased directly from the factory dealer had few problems after the sale than those that bought from an independent dealer. Find out what voids the warranty. Sometimes moving or selling the home can void the warranty, as can improper site preparation. Ask the retailer or manufacturer to examine your lot and certify that your site preparation meets the standards required by the warranty. 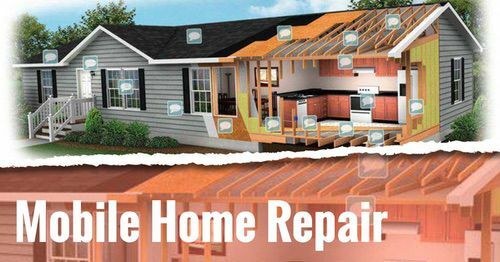 Discover what, if any, regular home maintenance is needed to keep the warranty in force. Recently, we learned that one carpet manufacturer requires that you get your carpet professionally clean at least once a year to keep the warranty in effect. Little details are usually much more important than the larger ones, and small print is ALWAYS more important than larger print! Once you’ve settled on a home and a price, you’ll sit down with the dealer to sign the purchase contract and loan documents. Carefully review the contracts, making sure the numbers (home price, interest rate, payment, points, charges, etc.) all are listed as you believe they should be. If they are not, don’t be afraid to leave and come back when the papers are in order. Be prepared to halt the transaction if you do not agree with or understand anything. Beware of contracts that appear to charge you finance fees (origination fees, prepaid points, “buyer” fees) then appear to deduct these fees from the “Amount financed” as if you are not actually required to pay them. You will pay these, plus interest. If the dealer tells you that a family member with better credit must co-sign or even buy the home for you, that family member may end up the permanent owner of the home. Dealers may promise to change these arrangements in the future, but they will be unable to fulfill such promises. This has actually happened in my extended family. A son and his wife needed his parents to co-sign with the promise that in a couple of years the young couple could refinance and put the home completely into their name. They later found out that his parents names are the only ones listed on the contracts and it cannot be changed until it’s completely paid off. Get details of these “buy-for” deals, such as the date ownership transfers, in writing. Also make certain that all the blanks on the contracts are filled in when you sign them. When you leave the closing, take fully signed copies of the contracts with you. None of that “we’ll send them to you” stuff! Never sign any documents you do not fully understand. Do not rely upon representations made by the salesperson about these contracts. If you do not understand them, bring someone you trust with you who can explain them to you. Remember, a purchase contract is a legally binding document-don’t be afraid to wait until you have help if you need it! I hope this gives you a base to jump start your research. Buying a new manufactured home is truly a life changing event and should be considered as such. Please research and educate yourself further so that you may make the best decisions for you and your family. Dealers cannot receive a commission on manufactured home loans per the dodd-frank act. Only mortgage brokers can! Also notate ensure your receiving bids that are apples to apples. Wind zone and thermal ratings can vary greatly within a state(as you suggest to shop dealers within a state for pricing) Also, ensure this includes freight to your homesite as the father away the more it will be. Without giving the exact address they cannot provide an accurate quote and especially without seeing it. Also, one big point missed is check the data plate. A few companies own the many this is the only way to ensure what the plan truly is since they make several versions depending on the plant. Thanks for the tips! I’ll be honest, the entire Dodd-Frank / manufactured housing issue has had me a bit confused for years. I’ve read practically everything MHi has released during their campaign to get the regulations lifted but I can’t understand WHY they wanted them lifted so badly. I understood that there were so many loopholes and questions in regards to the manufactured housing world (for example, how a financial advisor was defined) that the main regulations (regarding the kickbacks) were still happening just in other forms which they argued made it less fair for the consumer. I figured it wasn’t such a big issue since most financing companies also own the dealerships. So, if they were still going on, why were the so concerned with getting them removed? I guess we’ll see since they were successful in removing them? It’s all such a jumbled complicated mess – it’s really hard to keep up with. Amazing discussion!! Purchasing a ready house may have a greater number of advantages than building a new house. Home buying is one of the most challenging if you’re not prepared. I put an application in at a mobile home park in harbor springs, mi. i was going to pay cash for the mobile home and pay the rent each month. i am married but want to put the title in my name only. i was told that wasn’t legal. then i was told i couldn’t prepay rent for a couple of years to assure my being accepted in the park. is this right? Unfortunately, I’m not knowledgeable enough to help you. I would suspect the prepayment is because they may want to raise the rent prices annually (most parks do) and if they take your payments now they can’t ask for more? That’s just a guess. On the marriage thing, in most states, everything is split right down the middle. There may be some law in your state about that. I have purchased two properties in the last 2 years in Michigan. I am married and live here too. The law changed in 2016 I believe and the wife no longer needs to be part of the paperwork. my wife is not on either of the new properties I purchased. Hi, we’re in the process of purchasing a brand new mobile home. The park owner is financing the home for us. In our agreement he has including a charge for pouring concrete slab and driveway, set up electric, water and sewer hook up, etc. This makes our 48,000 home price increase to 61,000. I’m not sure if these costs are normal since we’re paying lot rent and don’t own the land. Also, we’re charged a tax of 6.5% for title. Shouldn’t the 6.5% only be on costs of home-48,000.00? I’m not very knowledgeable about park law but this sounds REALLY fishy to me. One of the biggest advantages of renting lots in a park is to forego the expenses of owning and maintaining the land. You would need to pay the utility companies for new installs but the concrete slab and driveway is a permanent improvement to the land and so it is an asset to the landowner, not you. I would walk, no run, far away. If they are trying this kind of stuff just imagine what more they want to try. This is a great and informative blog, thanks. We’re looking to pay cash for a single wide, and we’re wondering is there a certain time of year or month to get a better deal. Should you see the purchaae order of the home? And should the price on the purchase order be the price you pay for the home? It’s not going to help much if you do. If I’m understanding it correctly, there are no MSRPs on manufactured housing so numbers on a piece of paper isn’t going to tell you much. What you see on the order isn’t what the dealer paid, there are added costs such as ‘flooring’ loans (to be able to bring the home onto the lot for show), insurance, transportation, and setup that need to be included on top of the factory’s purchase order. I read once that the average profit for a dealerships on a new manufactured home is $11,000. But then I’ve also read that it’s a lot lower than that nowadays (maybe the 11k was during the 1990s boom?). Super helpful insider-info, thanks for taking the time to put this together. Knowing your budget is such a huge part of being able to finance your home, whether it be manufactured or not! 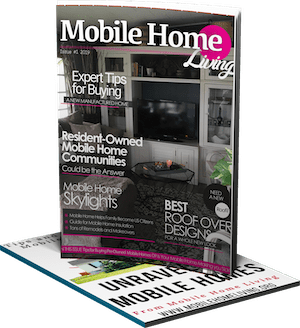 I absolutely agree that one of the most important things when buying a mobile home is to do plenty of research, as the article recommends. 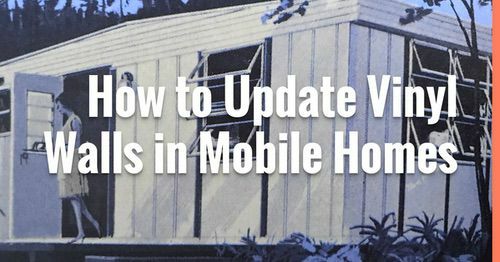 A mobile home is a major purchase, and any major purchase should only be done with plenty of knowledge. 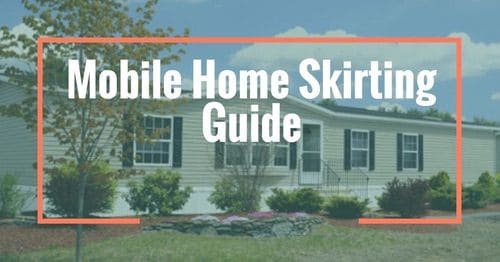 A person should know virtually everything there is to know about a mobile home before making the decision to buy it so that there are no surprises later. If the spreads are right they can buy and lease for great cash flow. When I say the spreads I mean the spread between what a home would rent for versus your buy and rehab costs. These fifteen tips are absolutely wroth learning. Maintaining a home since beginning till date we stay on the home is a tough job and a proper experience home owner can do that job quite nicely. By learning above mentioned effective tips anyone can take care of a new manufactured home perfectly. A decent sharing!! Thanks a lot. for keeping up.